The "classic" ketogenic diet was created in 1923 by Dr. Russell Wilder for the treatment of epilepsy. The keto diet is based on the principle that by decreasing the intake of carbohydrates, the human body's main supply of energy, it is possible to induce the cells to burn fat for fuel, maximizing weight loss. When you eat foods with carbohydrates, the body transforms these into glucose, or blood sugar, which it then uses for energy. Glucose is the easiest type of energy the body can utilize, however, excess sugar can turn into fat. The objective of the keto diet is to limit carbohydrate intake so the body needs to break down fat instead of glucose for energy. 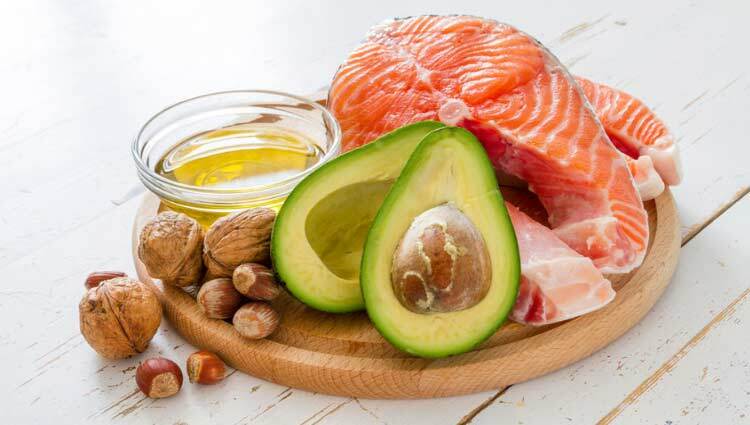 There are a variety of modifications of the ketogenic diet.The "modified" ketogenic diet is a less restrictive variant of the classic keto diet, which may be helpful for people starting out with the ketogenic diet plan or for those who simply wish to follow a less strict, long-term dietary regimen. With a macronutrient ratio between 2:1 -1:1, the modified ketogenic diet was created with versatility in mind to improve compliance and reduce possible gastrointestinal health issues as well as nutritional deficiencies which could occur with the long-term classic ketogenic diet. Nearly all people following a modified keto diet follow the standard ketogenic diet program closely. There are many variations of the ketogenic diet plan, but, to accomplish a state of ketosis, you need to tremendously lower the number of carbohydrates you consume on a regular basis. Research studies have demonstrated that the average American man over the age of 20 intakes approximately 47.4 percent of their daily calories from carbohydrates where the average American woman over the age of 20 intakes approximately 49.6 percent of their daily calories from carbohydrates. In the "classic" ketogenic diet, 80 to 90 percent of calories come from fat, 5 to 15 percent come from proteins, and 5 to 10 percent come from carbohydrates. A common modified variant of the ketogenic diet, permits 20 to 30 percent of calories to come from proteins with the exact same carbohydrate limitation. Some of the goals of the ketogenic diet are weight loss and improved athletic endurance and performance. The ketogenic diet for weight loss is predicated on the thought that forcing the entire body into ketosis will optimize fat reduction and weight loss. Ketosis is a normal metabolic process which happens when the body doesn't have enough sugar stores for energy. Whenever these stores are depleted, the body resorts to burning stored fat for energy rather than carbohydrates. This method creates acids called ketones, which build up in the human body and may be used for energy. Ketones are a necessary part of a healthy metabolism. The ketogenic diet comprises more than just diet. Nutritional supplements, electrolytes, hydration and physical activity or exercise levels will also be a crucial factor in the nutritional program. Those that suffer from digestive problems normally require extra support. This is where a ketogenic expert can be greatly beneficial. Tracking ketosis is another important element of therapy. Ketosis can be quantified by three distinct approaches: Blood, urine and breath. Blood readings would be the most precise and reliable way of testing, even though it's also the most expensive. Urine strips give a reasonable alternative, though readings may vary widely according to hydration. Though technology is advancing, breath screens have likewise varying consequences and also a higher initial cost. The ketogenic diet, or keto diet, is a low-carbohydrate, high-fat diet which has been demonstrated to have a wide variety of health benefits. As a matter of fact, many research studies have shown how the keto diet can help with weight loss, improving overall health and wellness. Modified versions of the ketogenic diet may also be utilized to accommodate to different needs. Ketogenic diets may even provide benefits against type-2 diabetes, epilepsy, Alzheimer's disease and cancer. By drastically reducing carbohydrate intake and replacing it with fat, the human body enters a metabolic state called ketosis, which efficiently burns fat and turns it into energy. Reaching a state of ketosis may have many advantages from treating chronic ailments to maximizing functionality. While the advantages are well documented, the underlying mechanism of activity isn't completely known. The ketogenic diet appears to boost the capability of mitochondria, the energy plants of our cells, to provide our own bodies' with the energy it needs in a manner that reduces inflammation and oxidative stress. Through optimizing how our body uses energy we reinforce our bodies' capacity to undertake the ever-growing temptations of the contemporary method of living, improving overall health and wellness. If you're planning to try out the ketogenic diet, make sure you speak with a healthcare professional to be sure to meet your nutritional requirements with the nutritional regimen. Working with an expert can help you figure out if you need to make modifications or stop using the ketogenic diet in the event that complications may occu. The scope of our information is limited to chiropractic and spinal health issues. To discuss the subject matter, please feel free to ask Dr. Jimenez or contact us at 915-850-0900 .